From N68 000 per room per night. 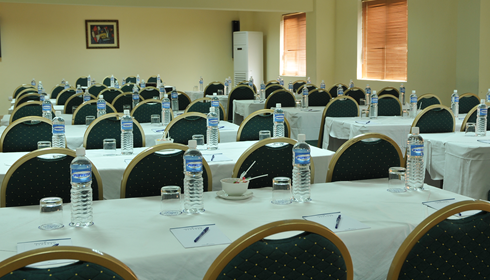 Fully Inclusive Conference Package includes accommodation, breakfast, dinner, full DCP, Wi-Fi and parking. A range of team building activities are also available. Day conference package includes buffet lunch, 2 coffee, tea and snack breaks, venue hire, PA system and microphone, stationery, standard conferencing equipment, free Wi-Fi and parking. Minimum for 20 delegates, maximum of 80 delegates.